Visit their website and sign up for mailings and offers. They'll send formula samples and checks that can be used as coupons with brick and mortar retailers. Check their e-store which sometimes sells formula at a discount with free shipping. Call and request to be enrolled in their multiples program; they'll send you a free carton of whatever formula you're on. You'll also need to fax in copies of the twin's birth certificates. Call number is 1-800-222-9123. Alternatively, you can send a letter requesting to be enrolled in their Multiples Progam. Mailing address for the letter is Mead Johnson Nutritionals, 2400 West Lloyd Expy - B215, Evansville, IN 47721. Visit their website and sign up for their StrongMoms' program. They will also mail formula checks regularly as well as educational brochures. The website sometimes have printable coupons that can be used with retailers. The website allows you to register to receive coupons in the mail. You can also call 1-800-443-7237 to register or send a letter to "Gerber Products Co. 445 State Street, Fremont, MI 49413". Copies of birth certificates will need to be mailed or faxed. Visit the website for printable coupons. 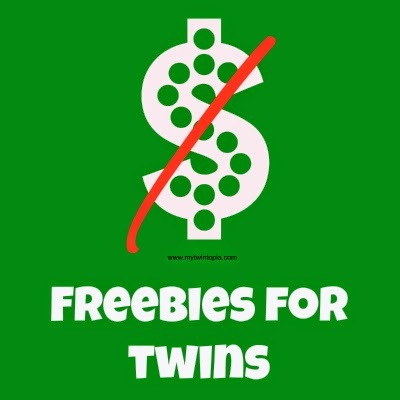 Register to receive coupons by calling 1-800-434-4246 or writing a letter to "Consumer Relations, The Hain Celestial Group Inc, 4600 Sleepytime Dr, Boulder, CO 80301"
Huggies: Send a letter along with copies of the twin's birth certificates to "Kimberly Clark , PO Box 2020, Dept. Q-M-B, Neenah, WI 54957". They'll respond by sending high value coupons for diapers. Combine that with sales and you can get your diapers for free. Pampers: Send a letter along with copies of the twin's birth certificates to "The Proctor & Gamble Distributing LLC, Consumer Relations, P.O. Box 599, Cincinnati, OH 45201".